Bavarian Crochet Class. 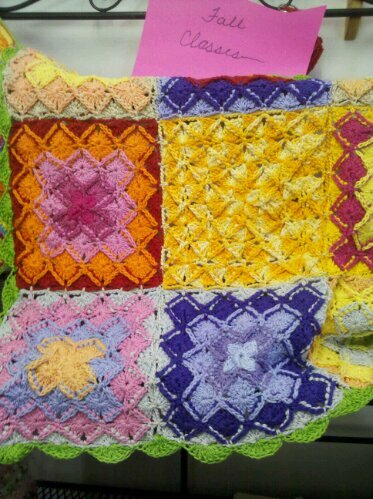 Learn to crochet these great squares that can be put together to make a pillow, shawl or blanket. This is a really unique technique. Susannie says you could also make a cute purse with the squares. Cost: $45. Plus materials. Dates: Feb 21, 28 and Mar 7 10-12 or 6-8. Call the shop to sign up! 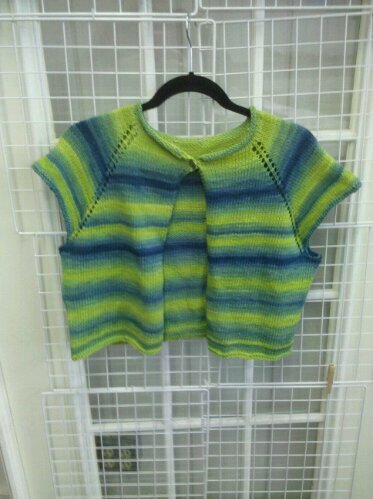 The other photo is my finished Top Down Summer Vest. So sorry for the 1st photo, the needles were still in the project. The finished vest used 3 ball of the Sol De Grade. With last weeks weather I got a couple of projects finished! 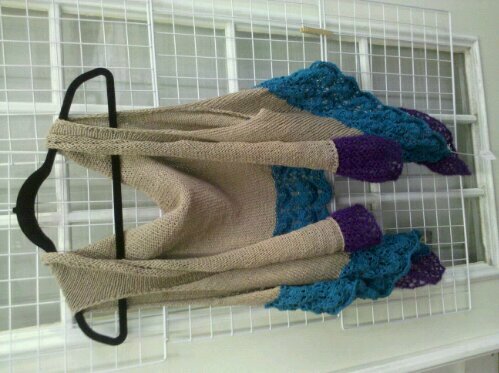 The third photo is the Ripples and Waves Vest. 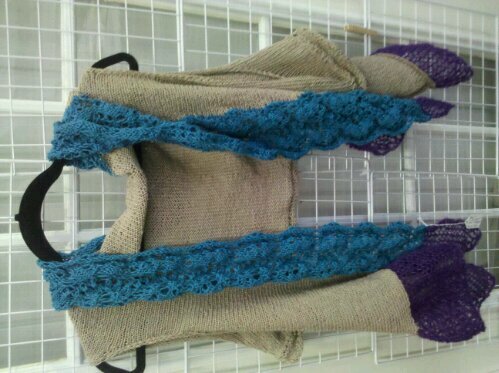 I used lace mohair, allegoro and lenpur linen. You can wear this piece two ways! And use a variety of different yarns. Lots of new yarns are coming in daily. Berroco ,Classic Elite, Tahki (no books yet) are in.